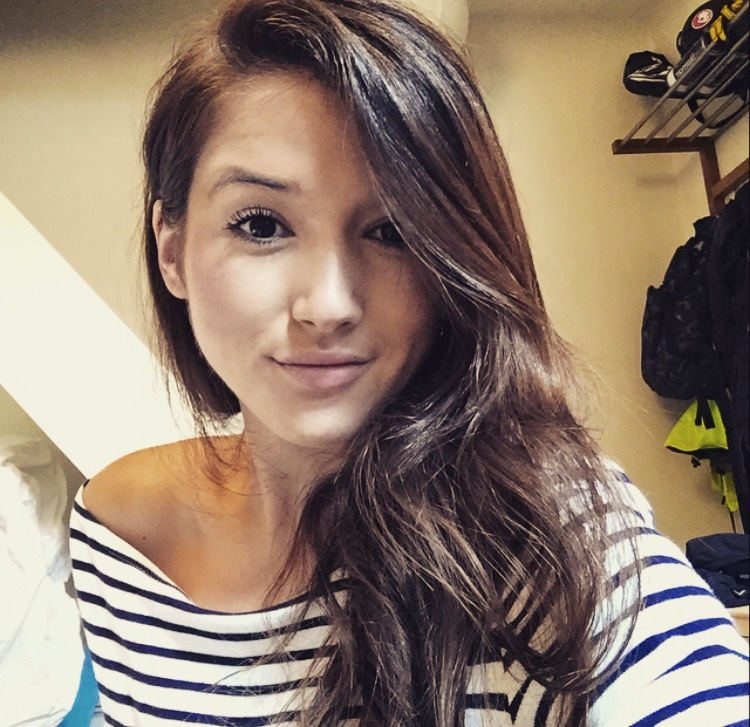 When I left university and waved goodbye to my student house, Didsbury became home. West Didsbury to be precise. It was the first place outside of Bristol that felt homely and comforting and like the sort of place I would like to live. I must've liked it, as I lived there for three years and am still a huge advocate of everything it has to offer - Burton Road, the river, the cafes, independent shops and restaurants that keep popping up, I love it! One restaurant I was particularly intrigued by was Saison, having known it as the Violet Hour when I lived there. Anyway, they got in touch with me via a group on Facebook and asked if I'd like to come down and give them a try - and I jumped at the chance to get back on Burton Road! It was the day after we'd got back from Portugal and although it was still (surprisingly) warm in Manchester, we were both craving something really hearty and homely, so roast dinner it was. BUT before we tucked into roasts, we ordered drinks & went to town on the starter menu. We shared two dishes - the five spice chicken lollipops with a hoisin glaze, and the Didsbury eggs. I was a little nervous about getting the chicken dish as anything meaty described as a lollipop doesn't quite sit right with me but oh my god these were delicious: just look at the detail in the picture above! The meat was so tender and the sauce was a perfect addition. The Didsbury eggs were phenomenal; I'm partial to a Scotch egg most of the time but these were fab - crunchy on the outer edge, with a soft black pudding sausage middle, wrapped around a boiled quail's egg, with a runny yolk - ideal! After some lovely rioja and beer for James, our roasts arrived. I went for chicken, and James went for beef. The beef is cooked medium rare and both come with Saison's 'signature stuffing' which.is.LUSHHH. So so good. You also get a heap of seasonal veg, crispy on the outside / fluffy on the inside potatoes, and a huge Yorkshire pudding. Oh and an insane red wine gravy. Now, I love holiday food as much as the next person (fresh seafood, abundance of bright fruit & veg etc), but it was so lovely after a week of eating this to tuck into a warming, wholesome roast; I was craving it massively. We definitely didn't need pudding, but when we saw the specials board mention a chocolate fudge cake with vanilla ice-cream and raspberries, we had it have it. We dove right in and finished it in minutes (there's always room for dessert!). My favourite bit was the gooey layer on top of the cake, mixed with a spoonful of ice-cream. It was delicious. The perfect way to round off a roast! We sat in the window and watched Burton Road bustle away; it was a great way to see of a Sunday. 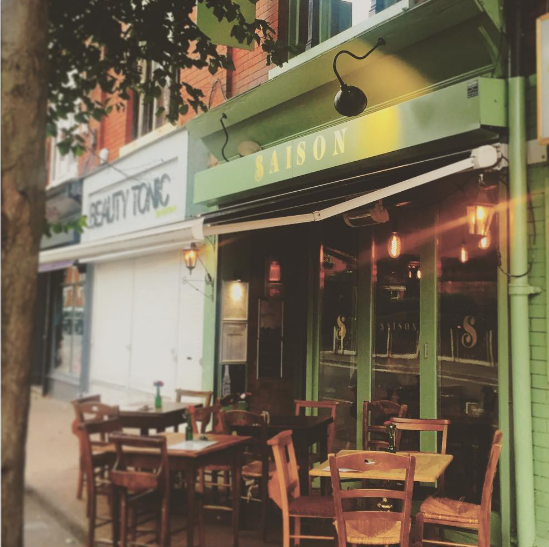 The atmosphere in Saison is soo chilled and relaxing, I'd absolutely recommend going for a roast, or a cosy drink in the window. Thanks for having me, Saison! *Saison very kindly paid for my food. I paid for my drinks. All opinions are genuine and have not been influenced by their generosity - they really do do great roasts!